Sometimes no matter how much you want it or how much you try it’s just not possible for you to save a deposit at this point in time. Believe it or not but there are things that you can do and steps that you can take in order to move towards your goal of buying a property and achieve financial freedom even if you can’t actually afford to save a deposit right now. Property has a very high price tag and you need a lot of money to enter the property market. However not all investments are like that. For example, with the share market you can get in with a lot less money. 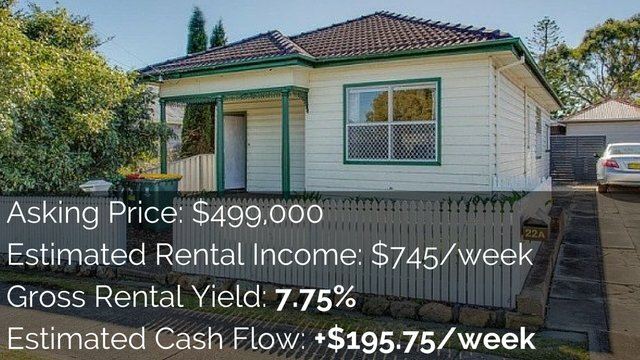 To get in the property market (even if you’re buying a cheaper property) is going to cost you tens of thousands of dollars whereas you could get into the the share market with as little as a $1000 or maybe even less. This is a good option if you don’t have a deposit and you don’t earn enough to save a large amount of money to put towards a deposit to buy a house. You could actually invest in something else and begin growing your wealth in another area. Then over time as your wealth increases you might eventually be able to move some of that money over to actually invest in property and buy the property you’d been dreaming of. I think it was Robert Kiyosaki that said the less you know the more money you need and the less money you make, but the more you know the less money you need and the more you can make. Financial knowledge will increase the amount of money that you can make as well as increase your return on investment. The smarter you get you’ll be able to invest with less money by investing smarter and hopefully grow your portfolio quicker. 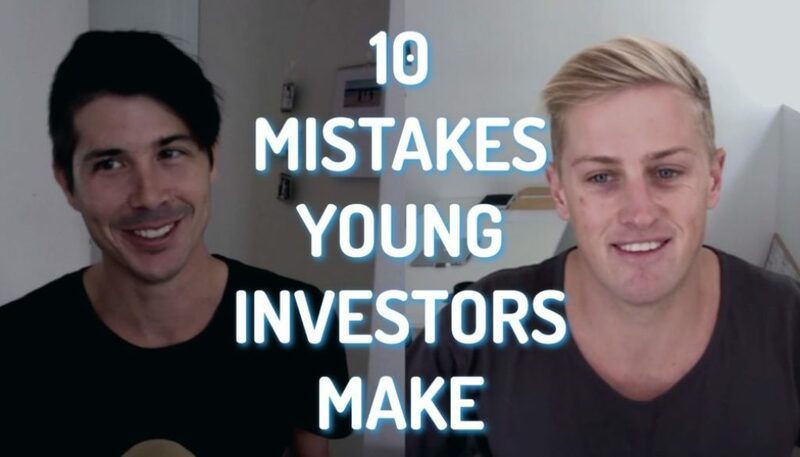 Just because you can’t save your deposit can’t invest in property now doesn’t mean you shouldn’t be learning about how to invest in property. Look at me. Given my circumstances and the fact that I have changed jobs a few times and now moved into self-employment I can’t actually buy my own property. However I learn about property every single day so when the time does come (which I hope will be very soon) I will be able to pounce and get into the market with some knowledge as to what I’m doing. So learn about properties spend some time on your commute listening to a pod cast or reading a blog. Or you could pick up a property magazine or property book. I recommend Steve McKnight’s book 0 to 130 properties in 3.5 years. You can get that by going to onproperty.com.au/130 and that will redirect you to fishpond which is an online book retailer where you can get it. It’s a great book that you could listen to or read and learn more about investing in property so that when the time does come you are able to invest or you might find a way around the fact you can’t save a deposit but still go out there and invest. You could make more money by getting a raise through your employment, changing jobs, working a second job, starting up a side business or any other means. There are so many other options you could try to do and in a future episode I am going to look at 16 radical ideas of ways that you can save a deposit within 12 months. Some of those ways that we’re going to be looking at can make more money so that you can save your deposit faster. Maybe you can’t afford to save a deposit and invest yourself. But you could potentially invest with someone else and they could put up some of the deposit so you wouldn’t need to save as much. Or you could organize the situation where you put in the elbow grease, you put in all the leg work and they provide the deposit. You could organize a share of the property and you get a share of the profits even though you might not put a deposit in. 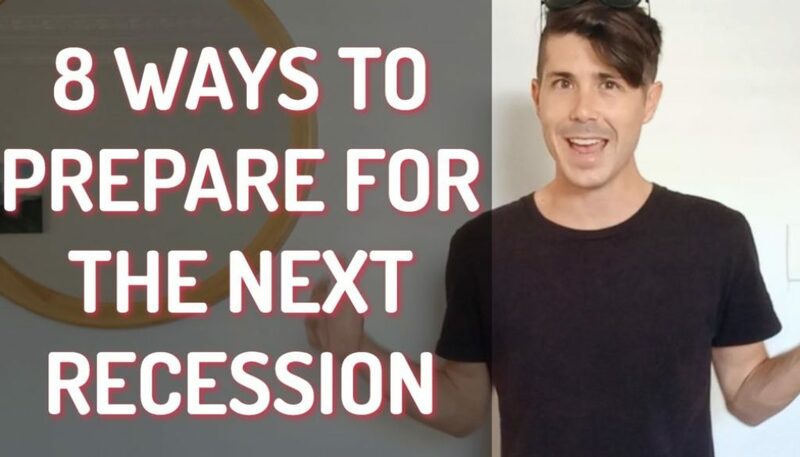 You might put in some financial stake by going taking on mortgage and then also you can put in your effort and your expertise into getting that property and hopefully that property goes up in value so that you can make a profit. You could then shift to your own investments after that or you can continue investing with your partner. We live in a consumer culture and we can try and fight it as much as possible because we know it’s very important to budget and spend less than you earn but sometimes a little tweak in what you spend your money on can actually have a dramatic effect later down the road. Buying items that don’t lose their value is going to give you a portfolio of consumer items over time that you may be able to sell and off-load in order to put towards a property. For example about 4 years ago me and my wife purchased a Bug-a-Boo pram second-hand. Bug-a-Boo is a very expensive brand of baby strollers and we purchased it for $600. We used that for 6 – 9 months and then we sold it for $625 because we had purchased it second hand in the first place and it didn’t lose its value over time. The same thing happened 6 months ago. I bought a fridge for $200 because my big fridge didn’t fit. We have now moved houses again and my big fridge fits so I’m going to sell that old fridge and I’ll probably get more than $200 for it. There’s a couple of examples of items that I spent money on that retained their value because I didn’t buy them at retail price. I bought them at a wholesale price or second-hand. What can you buy that you could re-sell in the future? With this option you can have fun purchasing and using your consumer money to purchase those items and they retain their value so that in the near future you can sell those items and get that money back. Then you can use it for investing. So it’s just a way to tweak your consumer habits so you actually build wealth and while still having fun spending at the same time. Rather than trying to save a significant amount of savings deposit within 12 months why not just start by saving a smaller amount? Maybe it’s something as little as 1% of your income. So if you’re earning $5,000 a month that would be $50 a month. It’s not a significant amount of money but you could also save as little as a $0.50 or $1 a day. The figure doesn’t really matter. What matters is that you start getting into the habit of saving. Over time you may find that 1% can actually stretch to 2% and then you can stretch to 3% of your income and then 4% until you eventually work your way up. 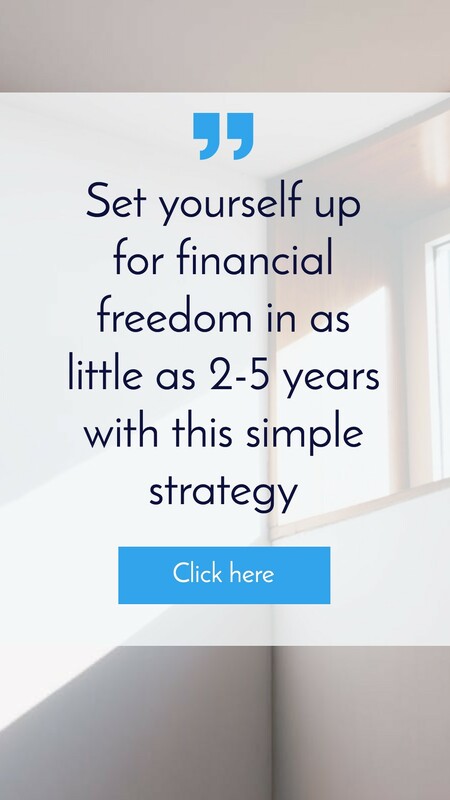 Instead of trying to save this huge deposit and save a huge amount of money that could be unrealistic for you, why not just start the habit of saving with a very small portion of money? Learn to put it away as soon as you get paid and not to touch it. Then over time that will begin to build up and you may find you have increased your motivation to save more and to grow that habit. Saving 1% or a really small amount in the beginning can be a really effective tool towards saving your deposit. Similar to the idea of learning about the property market, it can also be wise to increase your financial knowledge to learn more about money and about how money works. I recommend Robert Kiyosaki’s books for this instance. The best one I’d recommend is Cash Flow Quadrant and to check that out you can go to onproperty.com.au/cashflowquadrant and that will redirect you to fishpond again. This book is awesome because it talked about the different ways people make money. People make money as an employer and as an employee earning dollars for hours. People also make money as a self-employed worker that might own small businesses and do most of the work themselves which is currently the situation I‘m in. People also earn money through businesses. So their business runs whether they are there or not and they earn income from that. Then of course people earn income from investments like investing in property. Learning about the different ways people earn money can begin to increase your financial intelligence which can allow you to see opportunities you wouldn’t have seen otherwise. Now that I am self-employed and working a lot the business I have created is actually largely passive. So a lot of the work I’m doing now by creating these videos and podcasts is actually growing my business. However what I have done in the past is still working for me and generating a passive income both through On Property and other websites that I have as well. 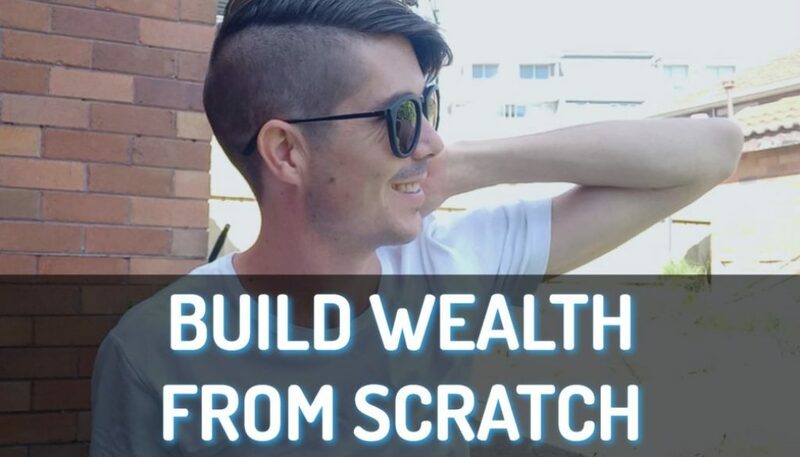 By increasing my financial intelligence I was able to create passive income for myself without actually investing in property, investing in shares or needing to earn a lot of money. By increasing your financial intelligence you could have the opportunity to do the same thing. A side business can be many different things. It can be starting websites like what I do or it can be mowing other peoples lawns or doing handy man jobs. You could also make things to sell at the local market or you could sell it online through Ebay, Gumtree or Etsy. You could start a side business using one of your skills and potentially make some extra money on the side. I guess the goal of this extra money for most of you would actually be to use that money to save towards your deposit. So rather than use that money to do what I did which was quit my job and go into business full time you could actually use that money to save a deposit. That’s what I did for a period of time. Money that I was making from my online business was going into and reinvested into my online business until it got to the point I was able to make that shift. Starting a side business is something you can do in your spare time rather than watching that next Game of Thrones episode or going to bed super early. You could sacrifice some of that time and start a side business so that you can start earning a little bit of extra money on the side which you can use in order to save to your deposit. Maybe you’ve got a personal loan, a car loan or credit card debt that is stripping you of your cash flow every single month. Rather than saving a deposit you could be focusing on paying down some of your debts. For a lot of people (and for me in particular) cash flow has been my number one goal. I want to have enough cash flow so I can live the life that I want. Ideally that cash flow comes from property but it might come through other means as well. What happens with debt is you’re paying a certain amount you need to pay on your credit card or loan every month and depending on your debt it could be hundreds of dollars that you have to pay out. 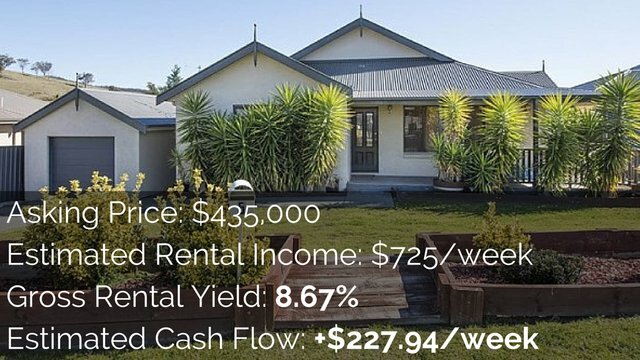 If you invested in property maybe it will earn $100 a month to offset that debt or maybe you can just pay down that debt and it might be easier. Then you can gain that $100 back in terms of cash flow and lifestyle. 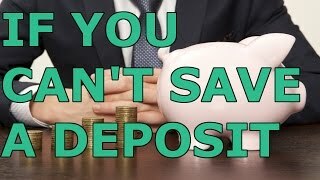 The final tip that I think that you should do is if you can’t save a deposit right now then start thinking in terms of cash flow rather than in terms of net worth. Many of us would look at our net worth and look at what we own, what our debts are and how those two balance out. I don’t have any debts apart from a small credit card bill which I pay off every single month. In terms of my net worth I could add up my car, my computer and all of my possessions in order to calculate my net worth but that doesn’t really help me achieve what I want to achieve. It doesn’t help me move towards my financial goals and financial freedom. Sure it’s great that the bed I bought is worth $500, the couch is worth $1,000 and the television that I own is worth a couple hundred dollars but that’s not actually moving me towards my financial goals and financial freedom. So rather than looking at your net worth why not start looking at your life in terms of cash flow? How much passive income do you have coming in every month and how much expenses you have going out every month? How can you lower those expenses? Maybe you could try getting rid of debt, getting a cheaper car, moving to a cheaper area or changing your lifestyle in certain ways. Then you can look at how you can increase your passive income as well. The goal is to grow the passive income to the point that it is greater than your expenses so you become financially free. Thinking in terms of how much you are worth based on everything you own is not affecting your lifestyle and it’s not giving you the lifestyle you want. Instead try to start thinking about what your cash flow situation is, what your expenses are, what your income is (including passive income) and how you can focus on a better cash flow situation in your life. The better your cash flow situation the more likely you’ll be able to save your deposit . There you have 10 things you can do if you can’t afford to save a house deposit right now. Maybe it’s not your time to save a house deposit or maybe it’s not feasible for you to save a house deposit in 12 months. Well here are some things that you can do to move you towards goals or financial freedom even though you can’t really save a deposit at this time. Sometimes we feel like we can’t save a deposit because the goal of the deposit we are saving is actually too big. I actually want to help you identify what deposit you really need to save and make that achievable for you so you can save a deposit. If you want to get my free checklist to help you analyse how much of a deposit you need to save and get on the road to saving that deposit go to onproperty.com.au/save to get access and download that checklist.